Disney’s acquisition of 20th Century Fox has been one of the major entertainment industry stories this year. Indirectly, it also impacts Hollywood’s industry group the MPAA, which loses one of its six members. This prompted insiders to rethink the organization’s future and reportedly, streaming giants such as Netflix are being considered as future members. 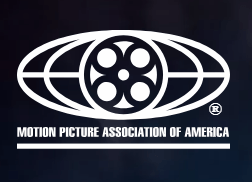 The Motion Picture Association of America (MPAA) has protected Hollywood’s interest for nearly a century now. In recent years the organization’s anti-piracy efforts have made the headlines repeatedly. Not just domestically, but around the world, through its site-blocking efforts for example. Traditionally, the MPAA obtains most of its revenue from the six major Hollywood studios. The latest public filings show that these membership dues totaled nearly $50 million. This number is significantly less than before, as we reported earlier, but new information suggests that it may drop even further. As a result of Disney’s acquisition of 20th Century Fox, the MPAA stands to lose one-sixth of its membership dues. Disney promised to pay Fox’s share for another year after the deal is finalized, but what happens next is uncertain. According to a report from The Information, the MPAA is now discussing a makeover of the organization. While no crystalized plans have been released, several insiders said that the group is considering accepting new members, including streaming services such as Netflix and Amazon. This would add more revenue, but also broaden the organization’s mandate. It is unknown how concrete these plans are or whether the MPAA approached potential new members already. Whatever the eventual direction may be, it won’t be an easy task. Although Amazon and Netflix have a shared interest with Hollywood on some fronts, both have their differences as well. The MPAA has been at odds with major tech companies over the years, companies that are closely aligned with the streaming giants. That said, Amazon, Netflix, and the MPAA already work together in another anti-piracy initiative. They are all part of the Alliance for Creativity and Entertainment (ACE), which counts 30 companies in total. The ACE coalition is, in fact, running on the MPAA’s anti-piracy resources, including personnel. That brings up the next makeover option. If the MPAA can’t continue in its current form and is unable to add more members, whether those are traditional movie studios or streaming providers, some people suggested that it could fold into ACE. That’s an even more complex path, perhaps, since the MPAA does more than fighting piracy. But in theory, the MPAA could continue as is in a slimmed down version, while its anti-piracy efforts move to ACE. For now, it’s all just speculation. But it’s clear that the MPAA has more on its mind than fighting pirates. SAMSUNG GALAXY S10 + By far the best Samsung Galaxy S10 Coming !!! The FASTEST EVER POCOPHONE F1 UNBOXING !! LETS TALK ANDROID BOXES ! !